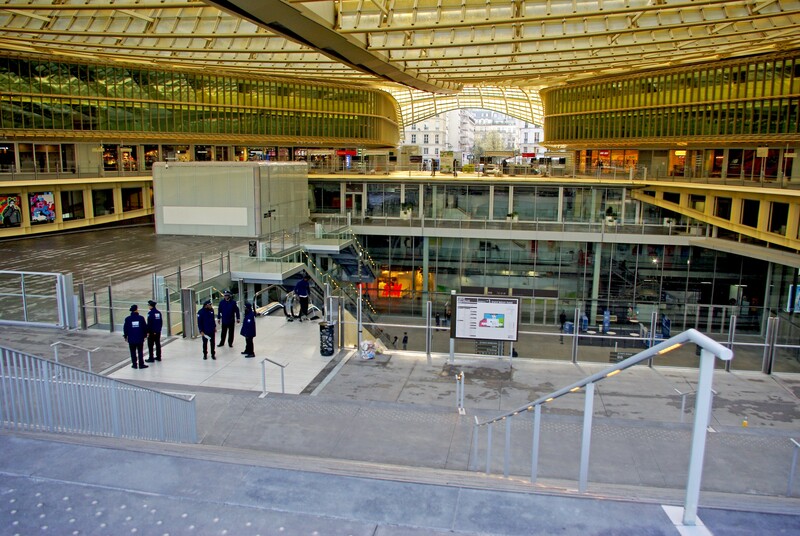 On Tuesday 5 April 2016 took place the inauguration of the new site of Les Halles and its Canopy (La Canopée) in the heart of Paris. I went there early on Saturday morning to shoot a few photos of the ambitious architectural project. 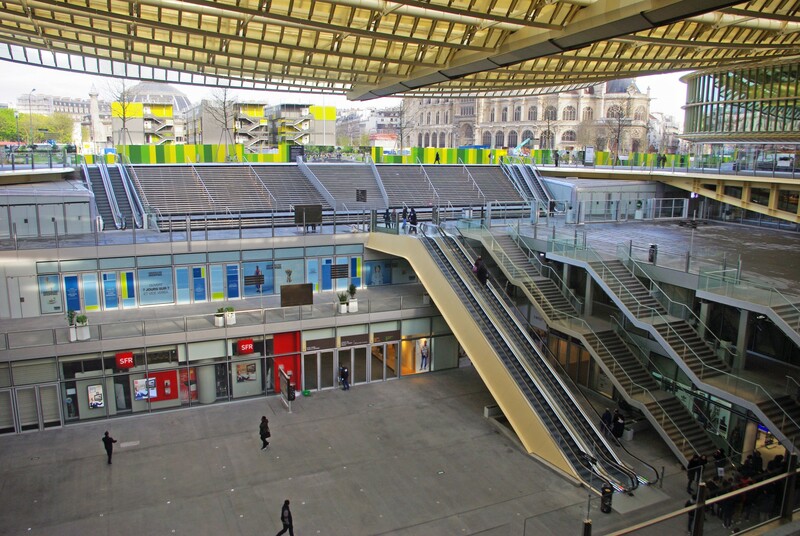 No doubt the Canopy of Les Halles will become in the near future one of the landmarks of Paris, not far from another iconic site: Centre Pompidou. 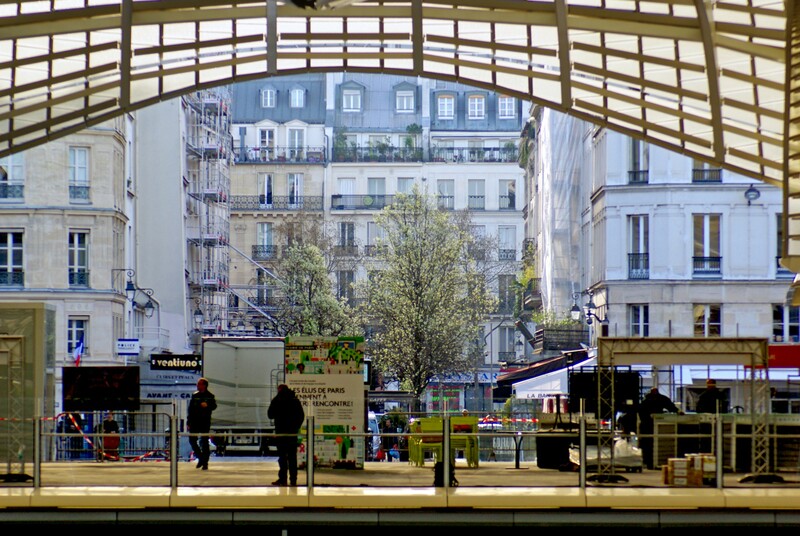 When I emerged from the RER station on Saturday morning, there was nobody on the site of Les Halles except for a few bunches of people practising sport activities and the policemen on their motorbikes to ensure security. For the first time I was able to stroll under the Canopy, this incredible undulating roof inspired by plant life. The term ‘canopy’ refers to the upper layer of forest which is in direct contact with the air and sunlight. 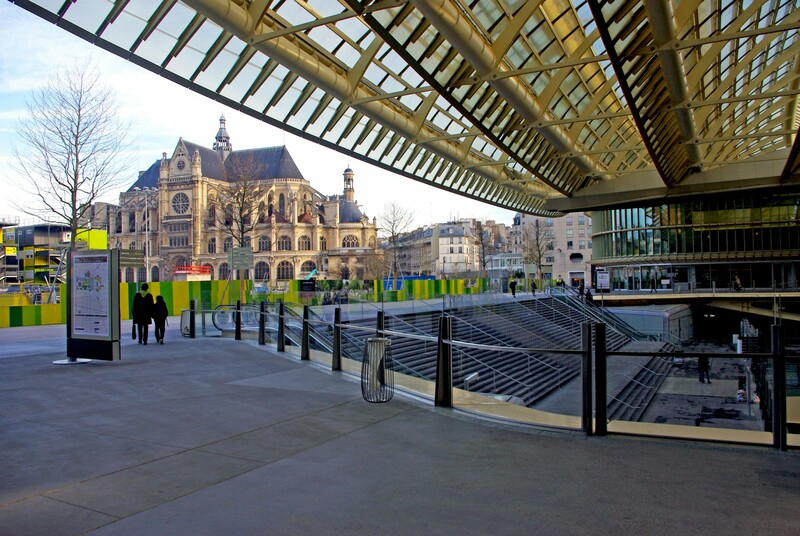 The Canopy shelters two buildings designed for public and commercial use laid out around a central patio, which will become the new heart of Les Halles. 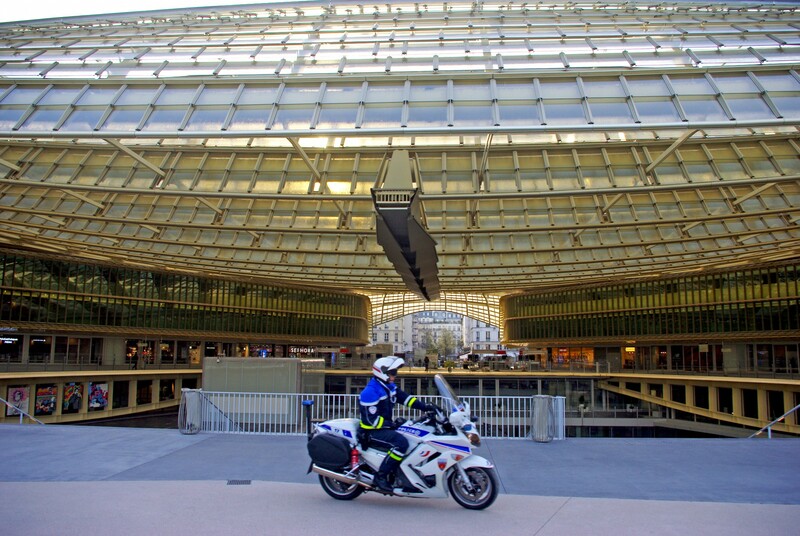 Designed by French architects Jacques Anziutti and Patrick Berger, it has been tagged one of the most ambitious architectural projects of the decade in Paris. 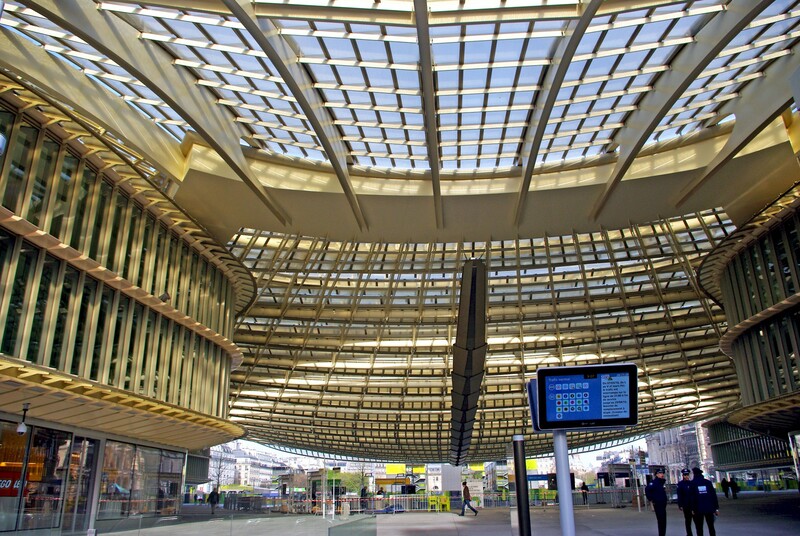 The curvilinear structure of the Canopy consists of 18,000 scale-like pieces of glass supported by 7,000 tonnes of steel. 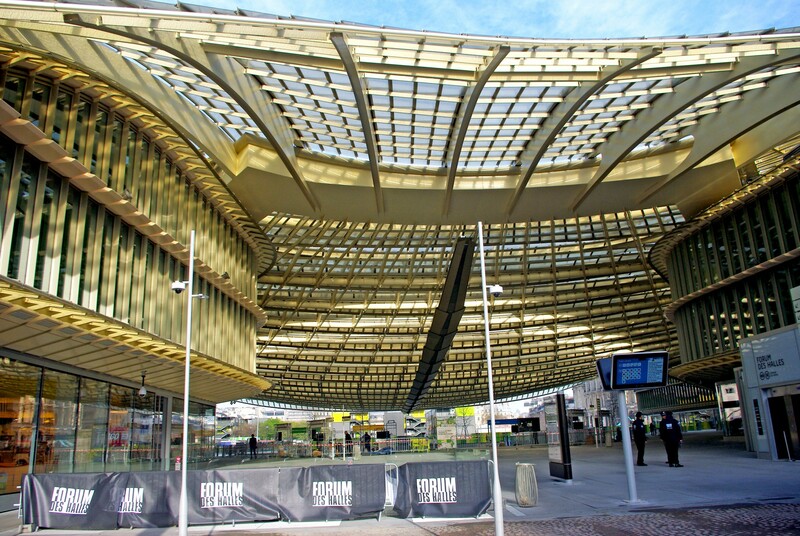 The canopy is only one feature of the €1bn refurbishment of Les Halles and is still on process in the gardens and the RER station. 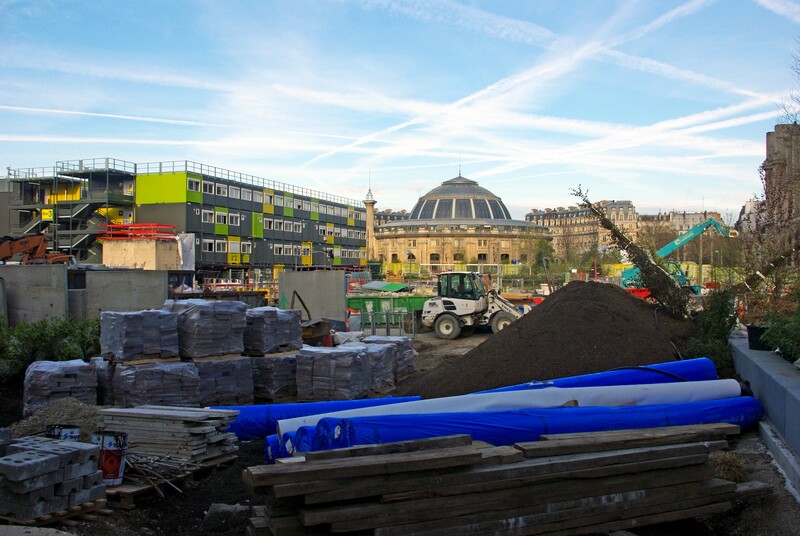 From the words of Paris Mayor, Anne Hidalgo the revamp should forget the ‘urban catastrophe’ of the former complex.